Last evening during a shopping spree in a store, we passed through shelves with rows and rows of carbonated drinks in varied flavours, fruit juices – some natural, others with flavours and colours added, some ready to mix fruit powders, some energy drinks and also in the same shelf were small tetra packs of Aam Panna. I was wondering how my grandmother would have reacted to see Aam Panna in a 200ml pack in a store. Perhaps she would have scoffed at the idea of buying it from the store and wondered if we are hard pressed for time or we lack the inclination and desire to make things at home or are we now so spoilt that convenience rules over everything and we love the easy way out. I have a little bit of my grandmother in me and the idea of buying readymade food and drinks from the stores has never appealed me. There is nothing like fresh homemade food made with love and choicest of ingredients. The mercury is on the rise and on the way to break new records. Blame it on global warming or whatever, the heat is becoming intolerable. Throat is perpetually dry and nothing seems to bring relief. A freak storm last night left us with some raw mangoes and I used them to make Aam Panna. A glass of cold Aam Panna is soothing for the parched throat. It is a traditional recipe made in almost every Indian household during summers. 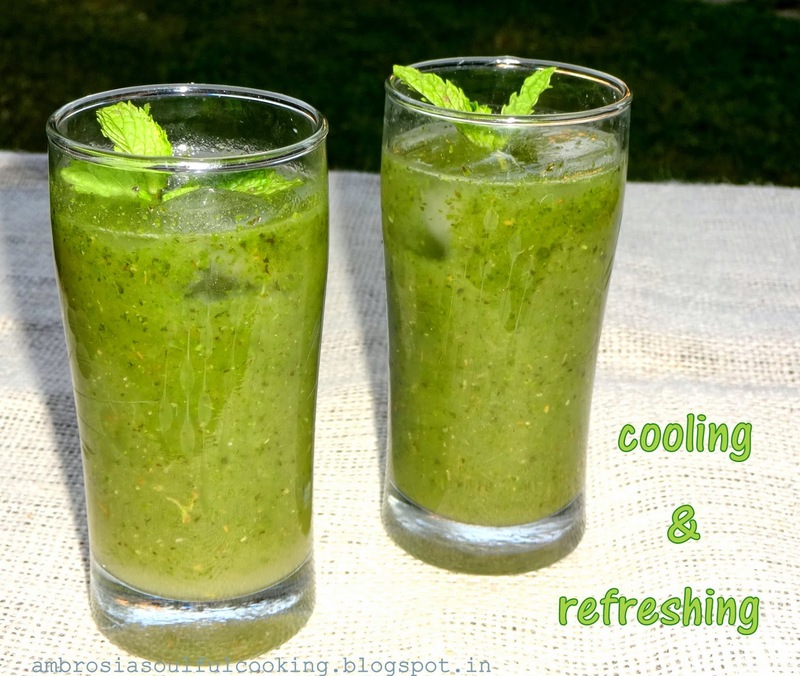 With the goodness of fresh mint, roasted cumin seeds and black salt, it is cooling, refreshing, rejuvenating, digestive, and carminative and the ultimate cold drink. Mint is packed with antioxidants and is good for digestion. Cumin improves digestion and appetite. 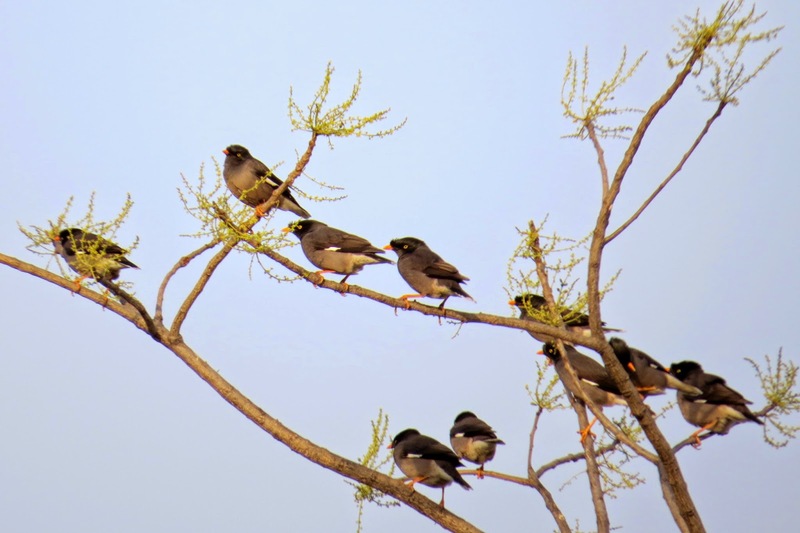 Indian black salt is regarded as a cooling spice in ayurvedic medicine. It is good for upset stomach, constipation and digestion. All these ingredients make Aam Panna a tangy and tasty drink that is really healthy. Wash the raw mangoes. Take them in a pressure cooker with enough water to submerge the mangoes. Pressure cook the mangoes (2 whistles). Remove the mangoes and keep them in a plate to cool. Scoop out the pulp with a spoon. Wash mint leaves and chop them roughly. Take mango pulp and mint leaves in a blender, add half cup of water and blend till smooth. Pass the mixture through a strainer. Add roasted cumin seed powder, black salt and sugar to the mixture and mix well. Add cold water and garnish with mint leaves. Add ice cubes and serve. I completely agree with you Namita, even I have a bit of my Grandmother in me. Its sad that we choose convenience over health and taste, when the fact is that it is not so difficult to make these yummies at home. 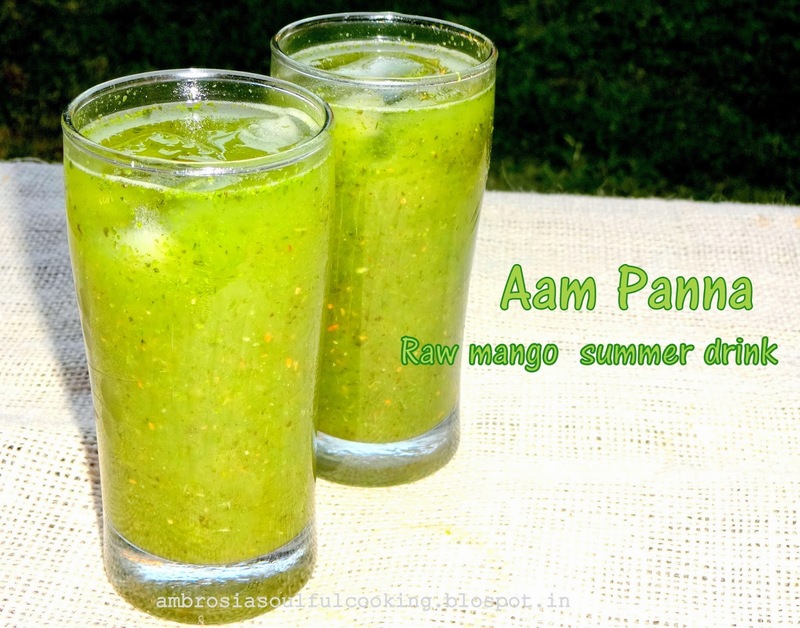 I am yet to put my hands on Aam panna this year and your post is making me want to do that right away. Even I love to add mint in it. This looks wonderful! If I could get raw mangoes here I would certainly make this, even though it' not even warm yet! I agree with you and your grandmother too; there's nothing like home cooked food and drinks. It doesn't have to be complicated, just, as you say, made with love.